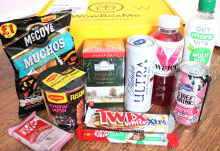 WowBoxMe is a popular food and drinks subscription box that’s also one of the most affordable on the market. 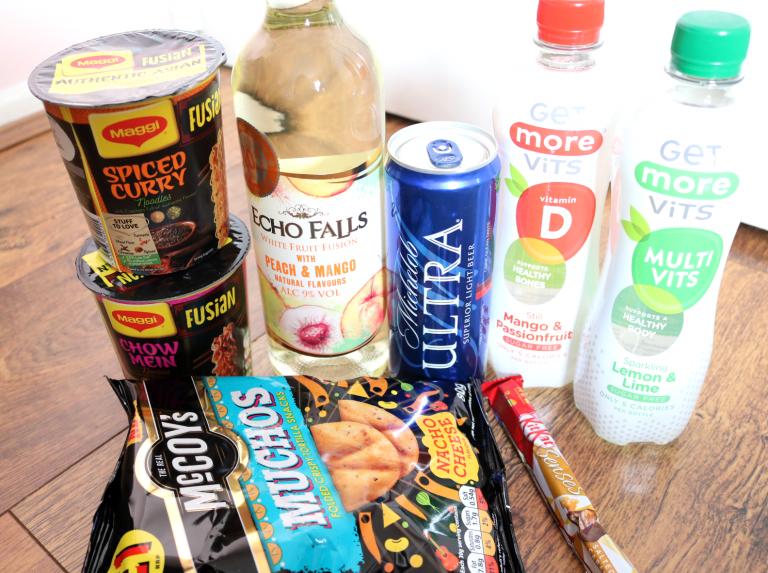 With subscriptions starting at just £6.99 (for the non-alcoholic box, with the alcoholic box being priced at £9.99 plus postage), it’s a value for money bargain for families and students alike! 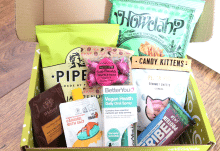 It’s always great to start off a box like this with a bottle of wine and WowBoxMe have included a delicious White Fruit Fusion from Echo Falls. Bursting full of flavour, this Peach & Mango flavoured white wine is a refreshing drink for Spring and would be ideal to enjoy over the Easter bank holiday. 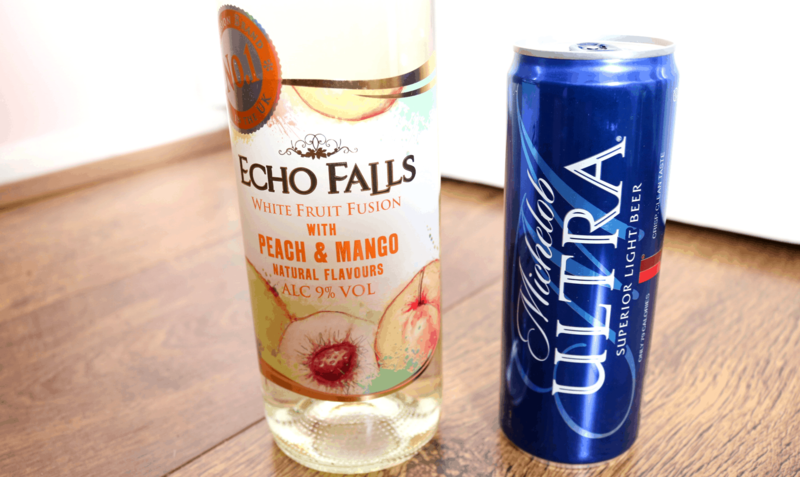 If you’re a beer drinker, why not try this Michelob Ultra Superior Light Beer for a change? This lighter version is only 79 calories per can and comes in at just 1.2 UK units, so if you’re looking to cut down on your beer intake, but don’t want to miss out, this is a really good alternative to try. 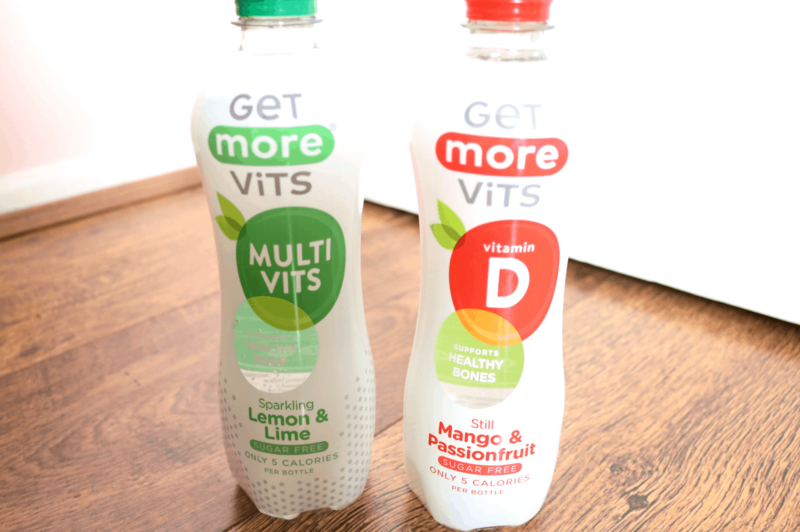 Next up, I discovered two bottles of soft drinks from Get More Vits – a specialist range of vitamin-enhanced waters. On the left is the Sparkling Lemon & Lime flavour which I really liked drinking after the gym, and on the right is the Still Mango & Passionfruit, a fruity drink that goes well with lunch. Both drinks are sugar-free and only 5 calories per bottle. 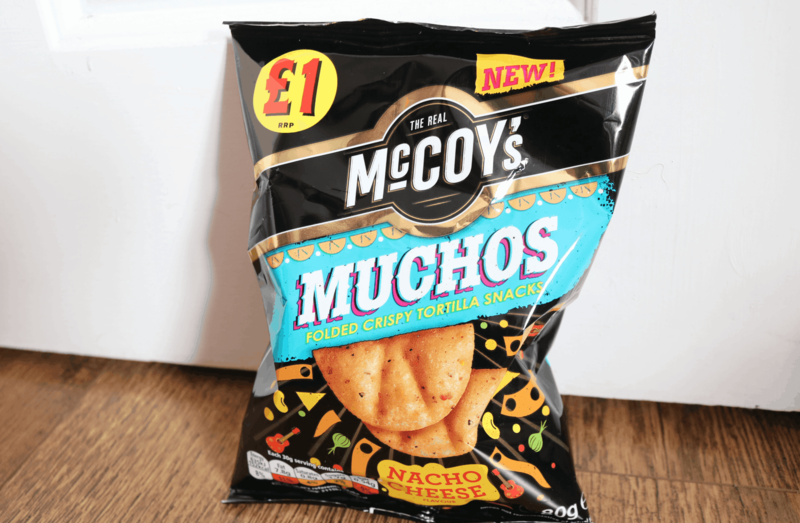 New from McCoy’s are these chunky Muchos which are folded, crispy tortilla snacks (basically thicker crisps!). This bag is Nacho Cheese flavour which was absolutely delicious and they went well with the beer above! I’ll definitely look out for these at the supermarket for when I want something savoury and cheesy to snack on. 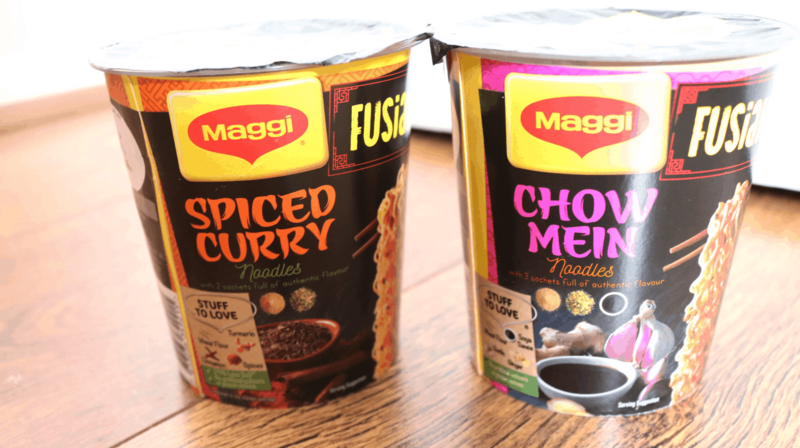 Being a student, we always have pot noodles and packs of ramen in the cupboard for when someone needs a quick, cheap and filling meal and these ones from Maggi are from the new Fusian range. As far as ramen/pot noodles go, they’re very good and I particularly liked the Spiced Curry flavour. To finish off the box, there’s a bar of the new KitKat Senses in Salted Caramel flavour. These are great for when you want a sweet treat and each pack has three individual bars. 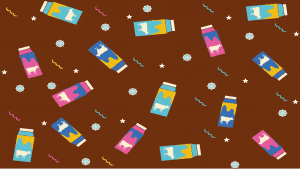 I loved the Salted Caramel flavour which works well with the chocolate and crispy wafer layers – yum! A good selection with something to suit everyone!